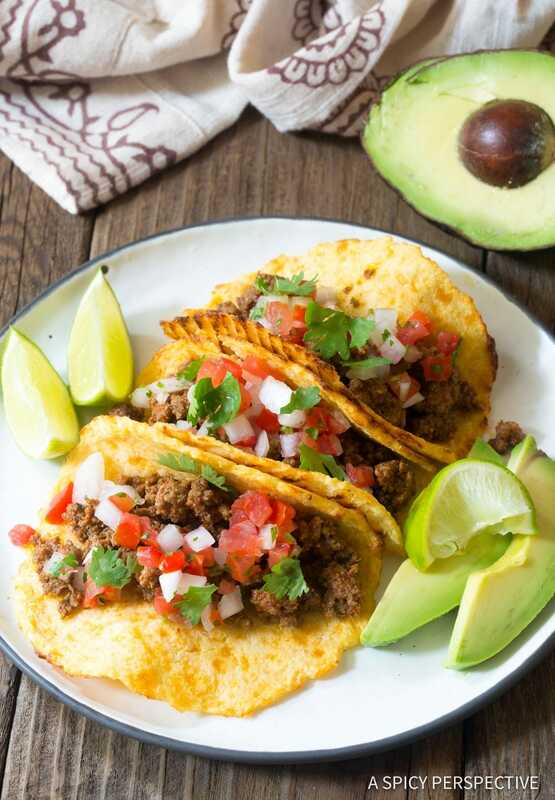 We love this easy Low Carb Keto Tortilla Recipe, you can make in minutes and enjoy with all your favorite taco toppings. 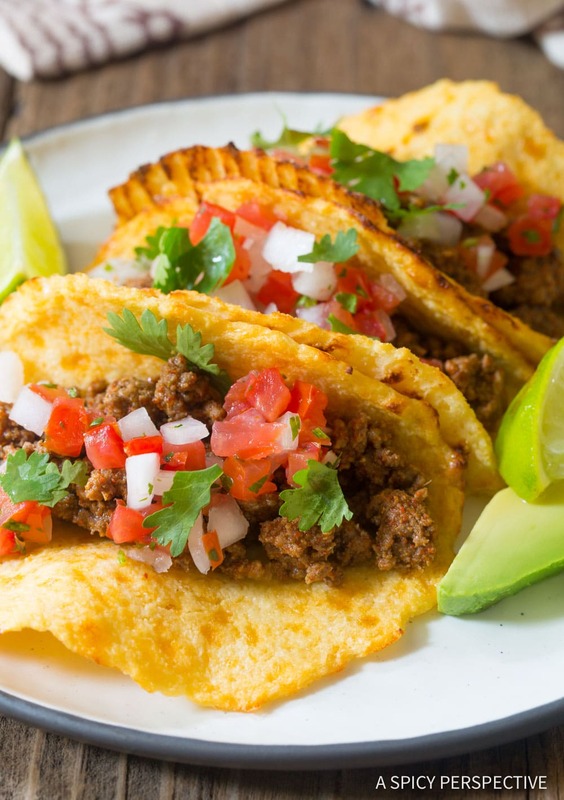 Tacos are the perfect food, in my humble opinion. Carbs, hot seasoned meat, cool veggie garnishes, and of course cheese and/or sour cream… What’s not to love? Although we do not follow a strict keto or low carb diet, we have plenty of friends that do, so it’s always nice to know how to accommodate them when they come over. 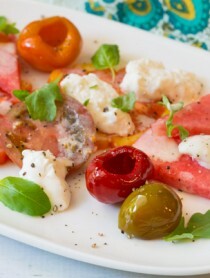 I was recently playing around with grain free tortilla recipes for my daughter Ava. Her tummy doesn’t handle grains well, however she still craves carby hand-held foods like any teenager. After testing several recipes that avoid all her food intolerances, I decided to try making tortillas with cauliflower. After all, you can make delicious grain-free rice and crackers with cauliflower. Why not tortillas. With the addition of cheese, eggs, and spices this Low Carb Keto Tortilla Recipe came together beautifully. The cauliflower tortillas are flexible, yet quite sturdy. They taste utterly delicious. Yet best of all, the fit neatly into a low carb ketogenic diet. 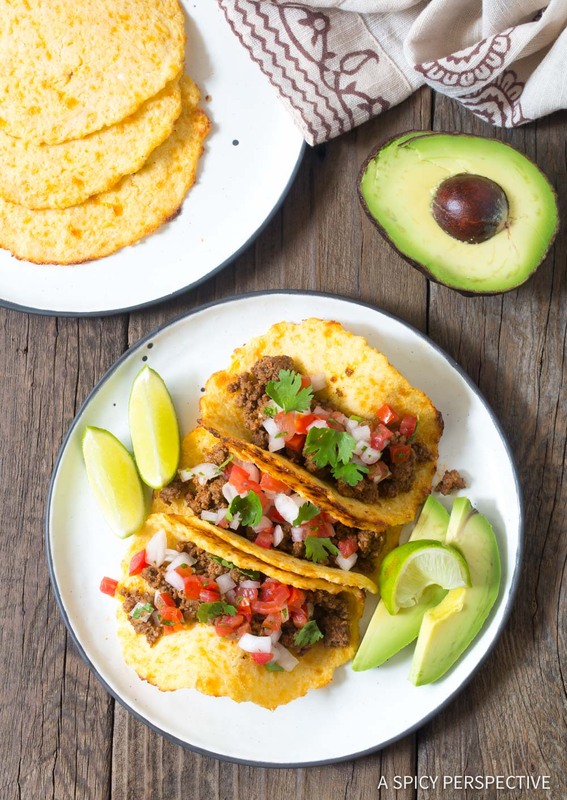 Our Low Carb Keto Tortilla Recipe makes warm tantalizing tortillas with the texture of corn tortillas. They can crush any carb craving without breaking your diet! This is such a simple recipe. However, you will need a good quality food processor and rolling pin… Items I find some new cooks do not own. 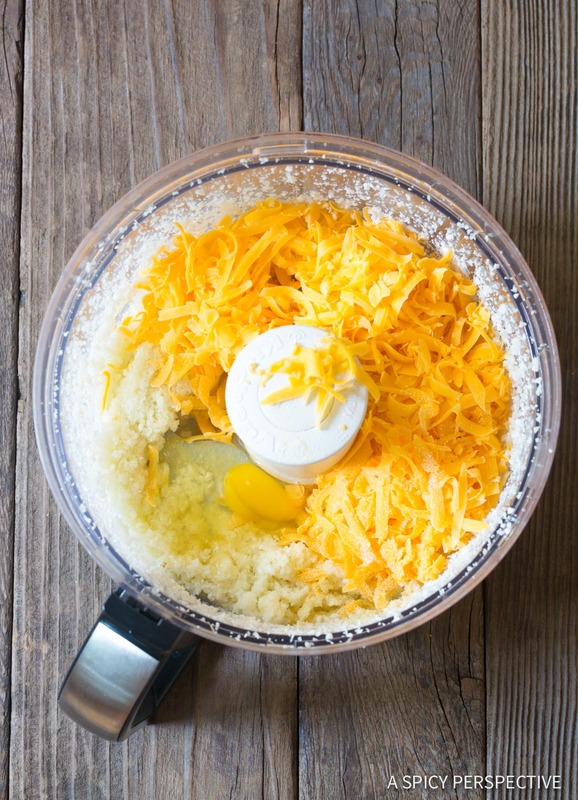 A blender, no matter powerful, cannot accomplish the same kind of grind. Grind the cauliflower in the food processor until it looks like rice. Then pulse in all the other ingredients. This insures an even mixture. 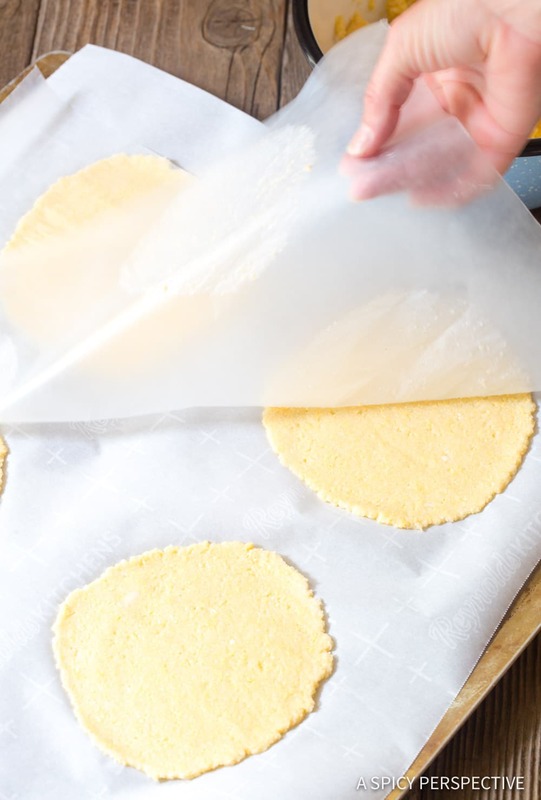 Use a scoop to portion out the “dough” onto lined baking sheet. That way, all your tortillas are the same size and dimensions. Then make sure to place wax paper over the dough before rolling it out. 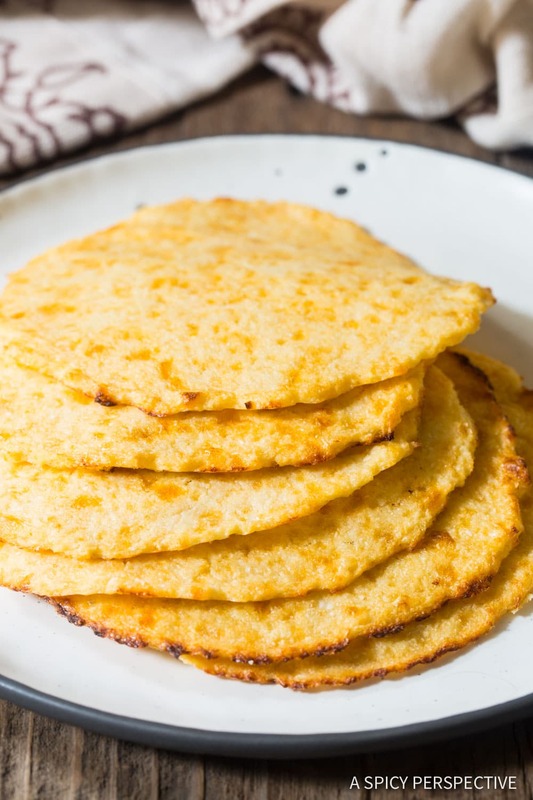 We prefer this Low Carb Keto Tortilla Recipe fresh out of the the oven, as they are the most flexible and flavorful within the first hour or two of baking. 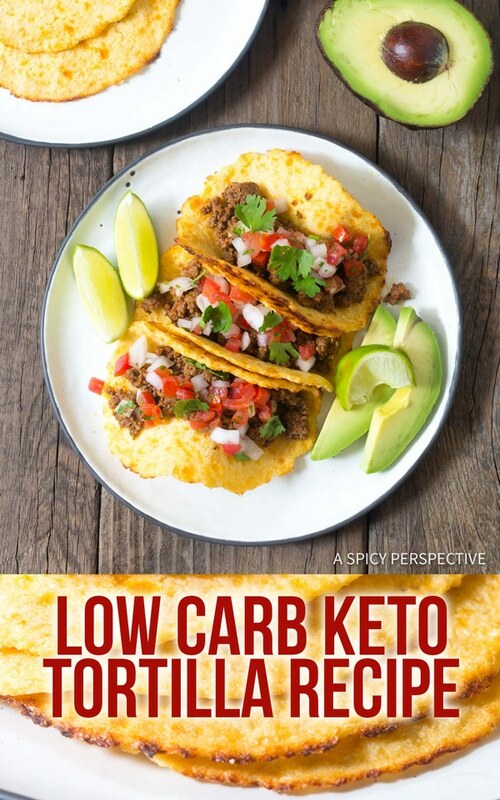 Low Carb Keto Tortilla Recipe - Ultra low carb tortillas you can make yourself using cauliflower and cheese! 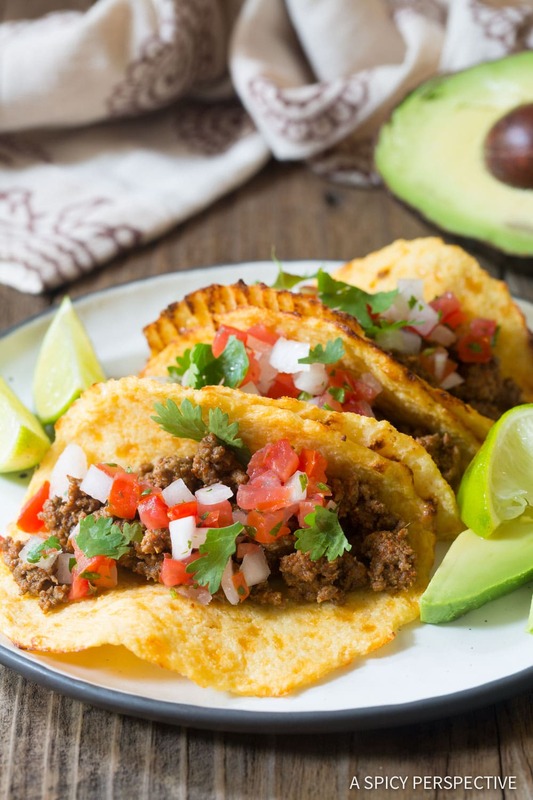 These tasty tortillas are sturdy enough to hold all your ketogenic taco toppings! Preheat the oven to 400 degrees F. Line several baking sheets with parchment paper and set aside. Roughly chop the cauliflower and place it in the food processor. Pulse to grind the cauliflower into crumbs. Add all remaining ingredients. Puree until all the ingredients come together into a smooth texture. 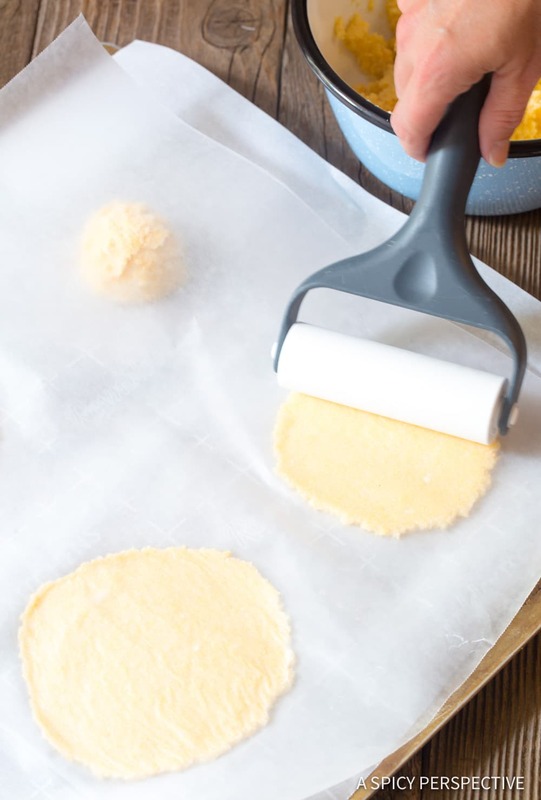 Use a 3-tablespoon cookie scoop to portion the mixture onto the baking sheets, leaving plenty of room to roll them out. Cover the mounds with a piece of wax paper. Roll the mounds out into circles until they are about 4- to 4 1/2-inches across. Remove the wax paper. Bake the tortillas for 12 minutes, until golden. Cool on the baking sheets for 3-5 minutes before peeling off the parchment paper. NOTE: These tortillas are not a great make-ahead. 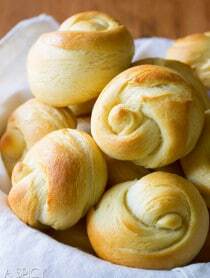 They taste best and are the most flexible if you eat them within an hour of baking. Can u make tortillas .with low carb cloud bread.i cant eat any kind of flour even gluten free flours like almound.cassaca.paleo. cauliflower sometimes dosent go well either. It’s hard to find a recipe that i can eat tortillas..
Would this work with defrosted frozen cauliflower rice? Delicious. Where did you get the dough roller with the blue handle?